In 2011, Rivers of the World (ROW) invited Keith to become the organization’s first Director of Evangelism. As of March 2017 ROW is now Mission: Hope. Around the world, we ask, “What’s the toughest thing about living here and how can we help you change it?” Mission: Hope then engages, trains, and equips mission volunteer teams to meet the needs. Our ministry ‘tools’ include pastor training schools, medical missions, construction missions, orphanages, sports camps, educational projects, water purification systems, and economic development opportunities. Innovative use of solar technology allows us to be effective where no power grids exist. As helpful as these things are, they are a means to an end: inviting people to a relationship with Jesus Christ. 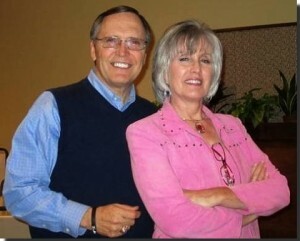 Keith and his wife Debbie (high school sweethearts) have spent 43 years together in Christian ministry. They have been blessed with 3 daughters, 2 sons, and 8 grandchildren (currently!). Their journey has included serving churches in Texas and Alabama. Leading fellow believers to share God’s message of love and forgiveness has allowed them to share the Gospel in Russia, Spain, Australia, Kenya, Tanzania, Germany, Austria, Mexico, Belize, and the Dominican Republic. Keith earned his Doctor of Ministry and Master of Divinity degrees from Liberty Baptist Theological Seminary. His Master of Arts degree was comprised of work at Liberty and Southwestern Seminary, Fort Worth, TX. Keith and Debbie are Native Texans and were married when he was working on his Bachelor’s degree at Dallas Baptist University. Keith and Debbie reside in Scottsboro, AL. This site is operated by Keith Burnett Ministries to challenge, teach, encourage, and equip believers and engage them in missional, Christian living. Together with Mission: Hope, we can change lives in obedience to the Great Commission. Please a take minute to visit Mission: Hope!